Dr. Berry is a Licensed Professional Counselor and Nationally Certified Counselor. He received his undergraduate education at Wayland Baptist University earning a Bachelor’s of Business Administration in 2003. 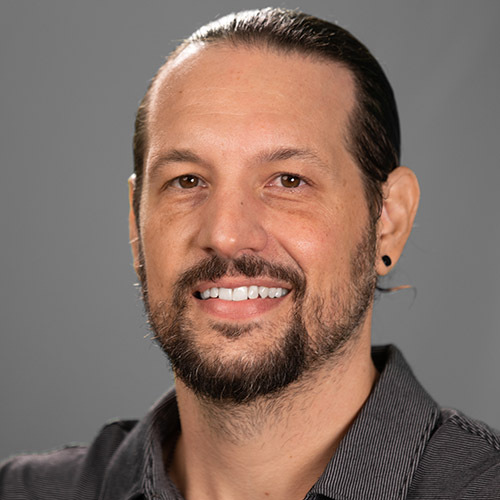 He received his Masters of Arts in Management with a specialization in Psychology in 2005 and his Masters of Arts in Counseling in 2007, both from Wayland Baptist University and a Doctorate in Counselor Education and Supervision from Texas Tech University in 2013. He is continuing his studies, pursuing a Doctorate in Gerontology from the University of Kansas. His current research focuses primarily on aging adults and gerontological counseling as well as a collaborative project with Wofford University on the use of poetry summits to provide inclusive spaces for incoming LGBT students on college campuses. His research interests include aging adults, wellness, LGBT issues, group work, sports psychology and eating disorders. Dr. Berry is interested in any form of collaborative research builds our understanding of creative applications of therapy. He has taught the following courses at the graduate level at TAMUCT: Practicum and Internships in Counseling, Foundations of Counseling and Psychology, Group Counseling, Human Development, Crisis Counseling, Psychopathology, Substance Abuse. Porter, R., Berry, J., Cude, K., Anderson, S., & Britt, S. (2017). Twenty five years of cognitive care education research: Time for a revolutionary change. Educational Gerontology, 44(2-3), 82-89 DOI: 10.1080/03601277.2017.1402418. Berry, J. J., & Berry, K. (2015) Preparing counselors to incorporate physical activity into group work with aging adults. In M. Luke & K. Goodrich (Eds. ), Group Experts Share Their Favorite Activities for Supervision, 2, 207-213. Association for Specialists in Group Work: Alexandria, VA.
Berry, J. J., Collins, C.J., & Collins, P.L. (2010) The value of religion and politics in geriatric clientele. Vistas Electronic Monograph. Berry, J.J., Whitfill, P.N., & Berlin, M.M., (2018) Poetry summit for LGBTQ students: Poetry therapy and coping mechanisms on campuses. A workshop presented at the Student Affairs Administrators in Higher Education (NASPA) national conference in Portland, OR. Berry, J. J. (2015) Global greying: Essential guidelines to counseling the aging population. A workshop presented at the International Association of Counseling Conference in Verona, Italy. Berry, J. J. (2015) The value of spirituality in wellness counseling groups with aging population. A paper to be presented at the Association for Spiritual, Ethical, and Religious Values in Counseling, New York, NY.